The 2019 FIA ​​Karting European Championships - OK and OK-Junior retain the usual pattern of four meetings in France, Belgium and Sweden. The list of entries for the first Competition in Angerville (FRA) confirms the attractiveness of the international categories with 163 Drivers registered, 73 in OK and 90 in OK-Junior. Five continents and 36 nationalities will be represented with distribution balanced between France, Finland and Italy, as the most numerous, as well as Russia, Spain, Great Britain and Sweden. As far as tyres are concerned, LeCont will be the official supplier to the OK category, and Vega to the OK-Junior category. The engines, mainly distributed between the Italian manufacturers IAME, TM Racing and Vortex, have been homologated since 1st January. 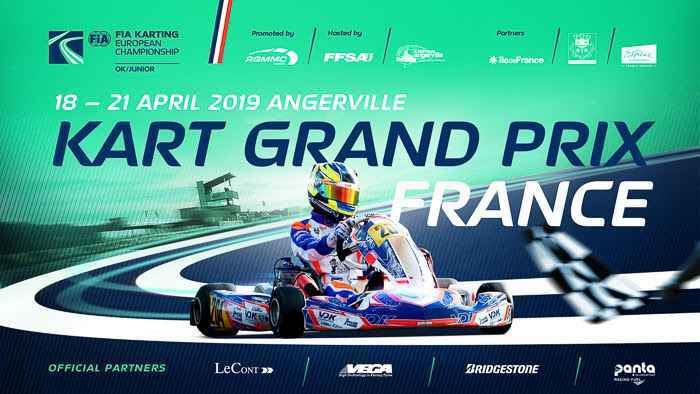 The Gabriel Thirouin Circuit of Angerville was chosen to host the French Karting Grand Prix, the first Competition of the year which will take place from 19th to 21st April 2019. Near Paris, the Angerville track hosts an international race after having hosted the famous 2006 World Championship for Formula A and the U18 World Championship in 2012. Its 1198 m long recently re-homologated circuit has undergone slight adjustments to follow the evolution of standards, but still has its special character, both technical and selective. 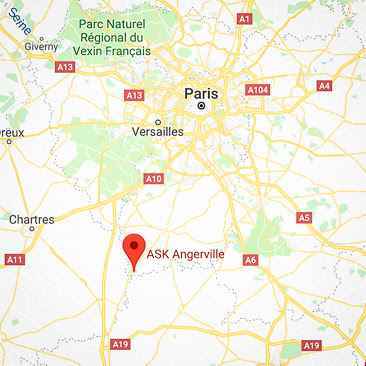 Angerville is known for its changeable weather where rain can never be ruled out. The 2018 Champions Lorenzo Travisanutto (ITA) and Hannes Janker (DEU) or the experienced Pedro Hiltbrand (ESP), Alessandro Irlando (ITA), Noah Milell (SWE), Luigi Coluccio (ITA), Harry Thompson (GBR), Juho Valtanen (FIN), Dexter Patterson (GBR) and Genis Civico Espona (ESP) will be more than ever confronted by the younger generation directly from OK-Junior such as the seeded Taylor Barnard (GBR), Gabriele Mini’ (ITA), Gabriel Bortoleto (BRA), Kirill Smal (RUS), Dino Beganovic (SWE), Dilano Van T’Hoff (NLD), Matheus Morgatto Alvareuga (BRA) and Sebastian Montoya (COL). Surprises are always possible for this opening event at Angerville. There is no lack of promising Drivers at Angerville, whether they have one or two seasons of experience. This is the case for Thomas Ten Brinke (NLD), Nikita Bedrin (RUS), Rafael Chaves Camara (BRA), Jamie Day (ARE), Alexander Dunne (IRL), Conrad Laursen (DNK), Arvid Lindblad (GBR), Josep Maria Marti Sobrepera (ESP), William Siverhorm (SWE), Thomas Ten Brinke (NLD), Enzo Trulli (ITA), Laurens Van Hoepen (NLD) and James Wharton (AUS). The Rookies have already signposted their ambitions with Andrea Kimi Antonelli (ITA), Artem Severiukhin (RUS), Brando Badoer (ITA), Ugo Ugochukwu (USA), Marinius Kleve Stenshorne (NOR), Lorenzo Patrese (ITA), Akshay Arjun Bohra (SGP), and Robert De Haan (NLD) trained in the FIA ​​Karting Academy Trophy. The Competition will be available on the official FIA Karting Championship app for iOS and Android mobile devices and at www.cikfia.com. Qualifying Practice will take place on Friday, 19th April between 3:30 pm and 5:00 pm. The Qualifying Heats will occupy all of Saturday, 20th April between 9:30 am and 6:20 pm before concluding on Sunday, 21st April from 10:30 am to 12:25 pm. The OK-Junior Final will then start at 1:50 pm and the OK Final at 2:50 pm.